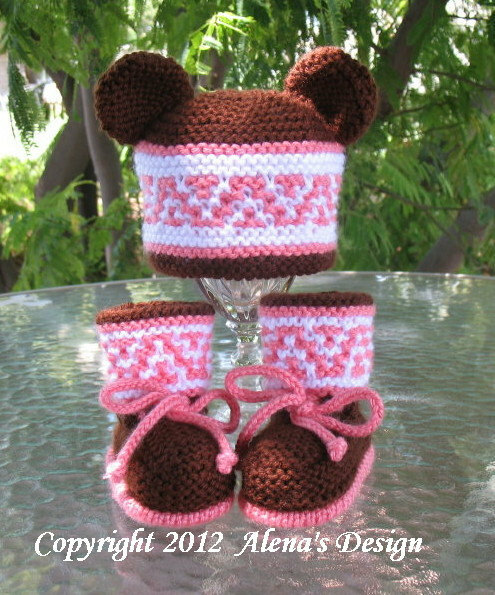 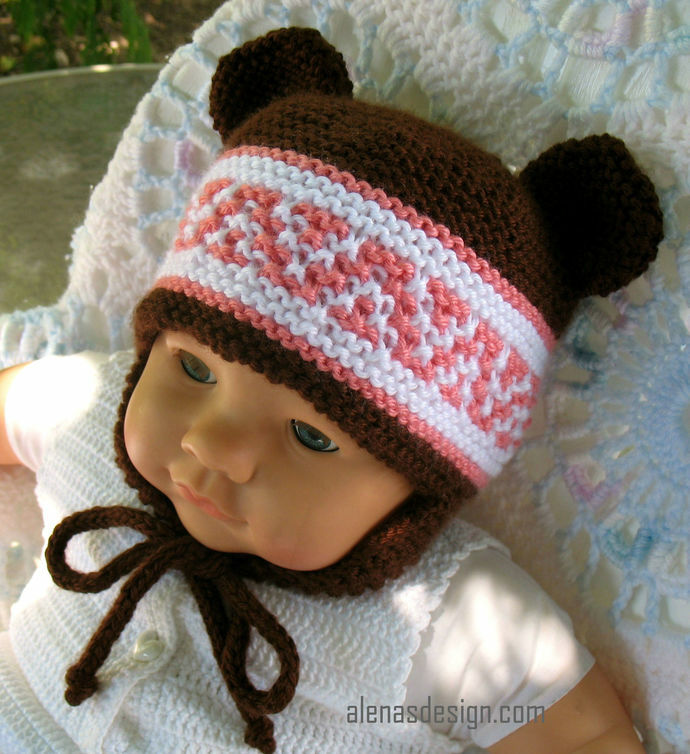 You can make Beanie or Ear Flap Hats with the Bear Ears or without them. 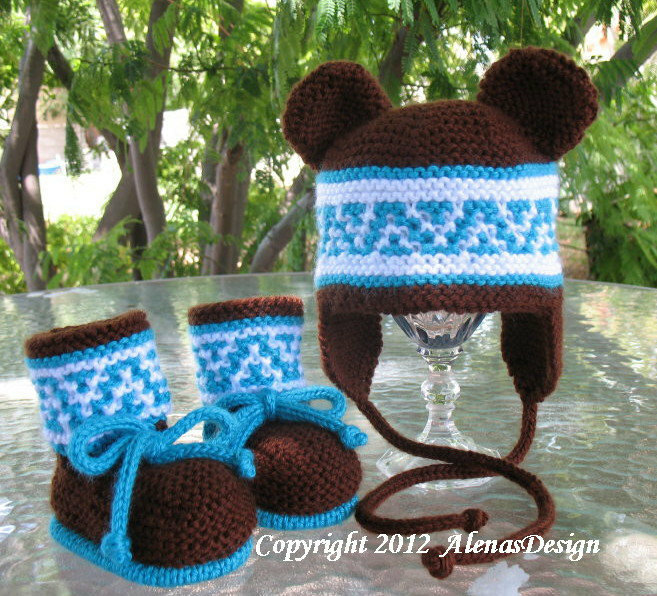 This Hat is knitted around, and the Booties are knitted in two needles. 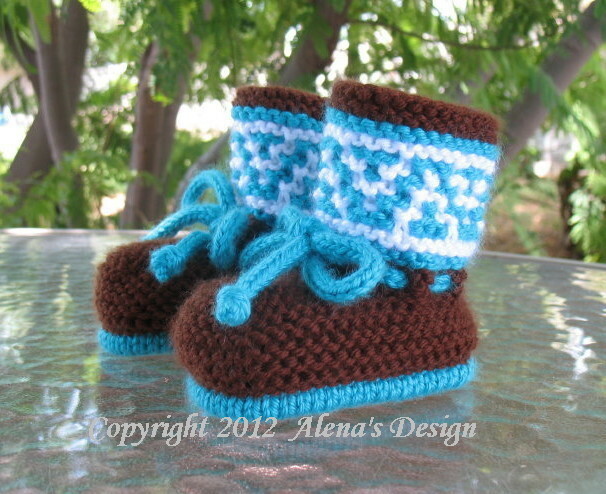 There is no carrying of yarn across the back of the work. 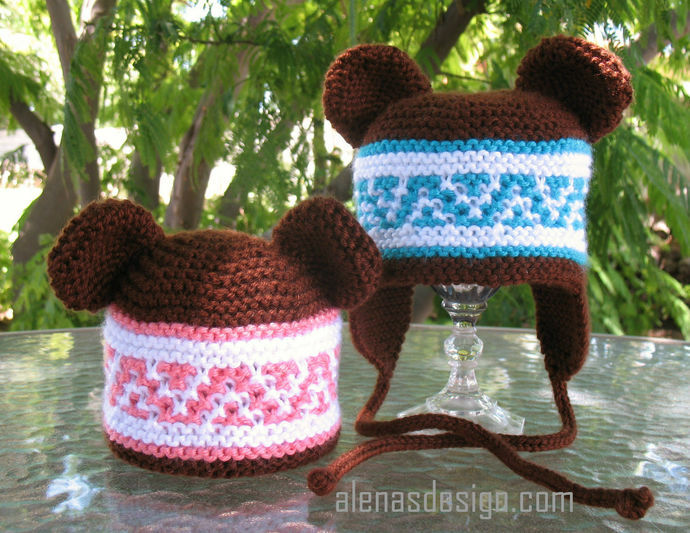 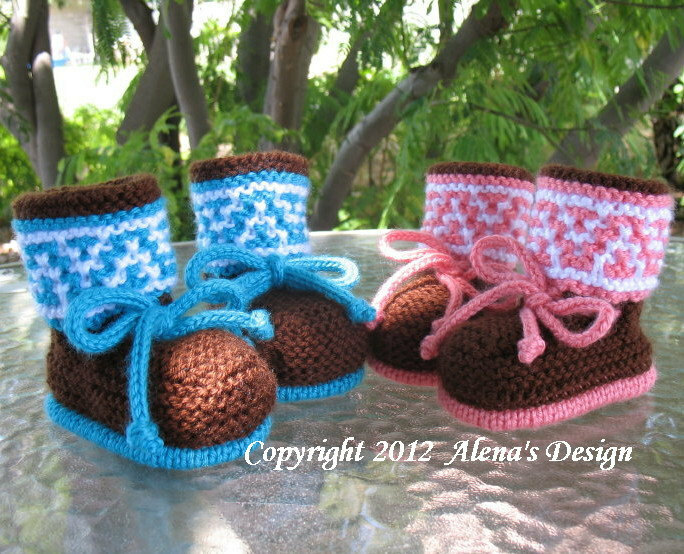 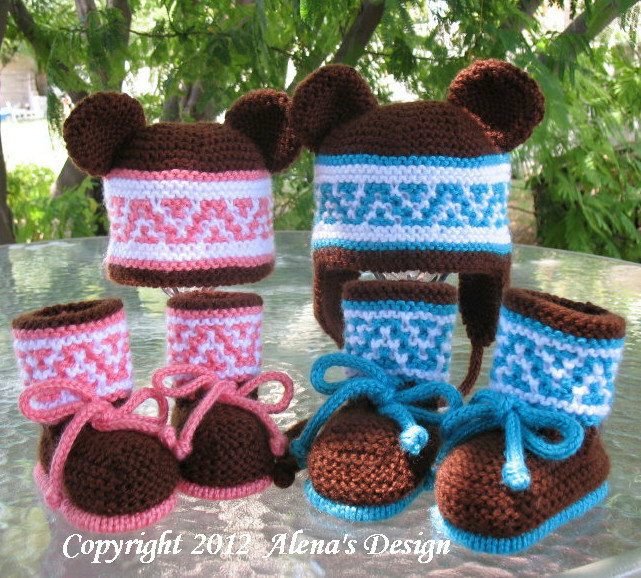 To make this cute set, I use the slip stitch pattern. 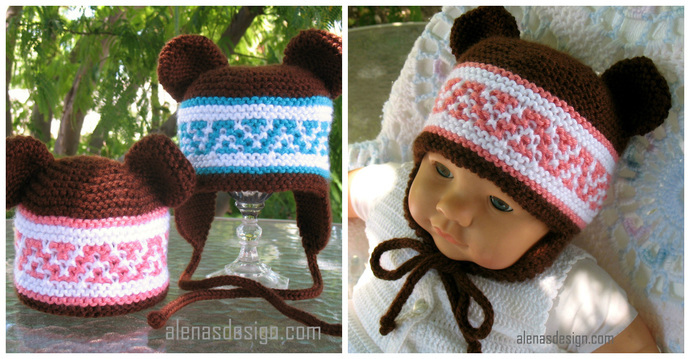 Double Pointed Knitting Needles: US size 6 (4 mm), and US size 2 (2.75 mm).